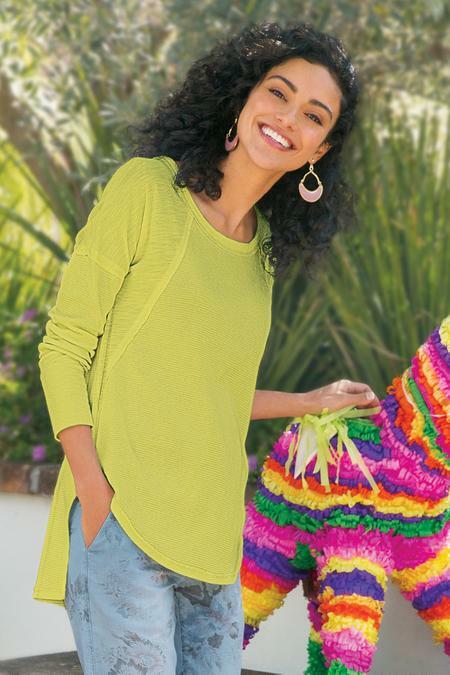 This sporty cotton tunic is a textural mix of waffle knit and slubbed jersey. Styled with dropped shoulder sleeves, tonal topstitching and a hem that drops longer in back, it's the perfect piece for relaxed weekends. Misses 28-1/2"/30" long.